SOLD! Congrats to Staci in Oxford, FL! 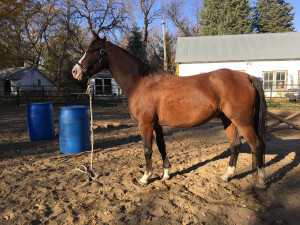 Streetwise is a 2010 bay with bling RPSI branded German Riding Pony gelding. He is a fun and quiet little man who has fallen through the cracks at the Jakopak place. 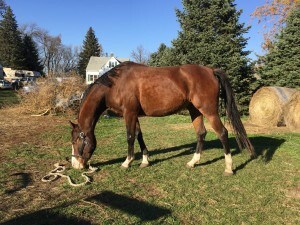 He has around 30 Days of training and has been ridden down the trail a couple times but is still very green. He will w/t/c but still needs work to be a steady companion. He is offered for your consideration this winter at $6900.00 as a lightly started project ready to begin his serious training. We have his full brother, SF Silver Dragon, who is also for sale. They are of similar temperament – you would think they were related 😉 Let us know if you are interested! Video December 1, 2015 – Playing in the snow!